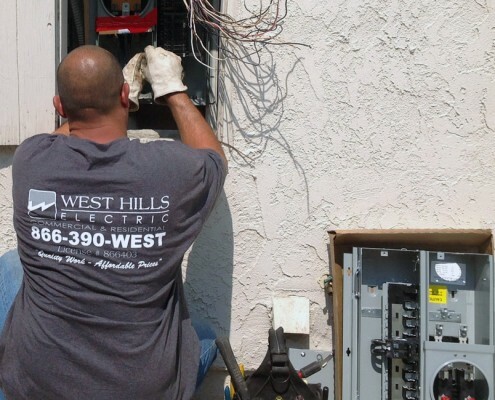 When you partner with West Hills Electric, you will benefit from our over 20 years of practical experience—to ensure your project is completed on time and on budget. We earned our reputation as a top Los Angeles area electrical contractor by delivering long-term value, only the best in new technologies and a constant focus on customer satisfaction. We treat your home or business like it was our own. Whether you require service, new installation or cutting-edge energy efficiency solutions, the West Hills team is ready to serve you. Main Breaker keeps tripping? No Main Breaker at all? Old unsafe and outdated breakers? Overloaded and out off circuit spaces? Schedule an appointment today and we will give you a written estimate to upgrade that old panel. We carry all types of recessed lighting. 3 inch, 4 inch, 5 & 6 inch as well as green energy efficient LED. If you need a replacement breaker we can provide and install it. We carry all breaker types. Earlier dated or new, give us a call. Since the ceiling fan is hard wired to your electrical supply, it is important to hire an experienced, licensed electrician who can see to the proper installation of this device. If an experienced individual, one with a background and training in electrical procedures, does not complete your ceiling fan installation, you may be placing your property at risk of a fire. At the very least, a faulty installation can lead to short circuiting and difficulty in getting the fan or its lights to work properly, if at all. Eliminate those ugly and often dangerous extension cords. We can add a new outlet quickly and easily usually without tearing open a wall, if you already have an outlet in the other side of the wall. 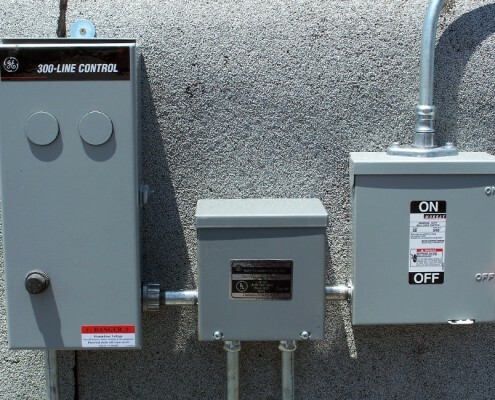 We also install dedicated circuits to receptacles if your have overloading issues. We specialize in professional energy efficient landscape lighting design and installation. We work on residential and commercial projects. If you already have landscape lighting we can service, repair or upgrade your existing lights. We install cat 5 & 6 as well as network and phone jack locations. 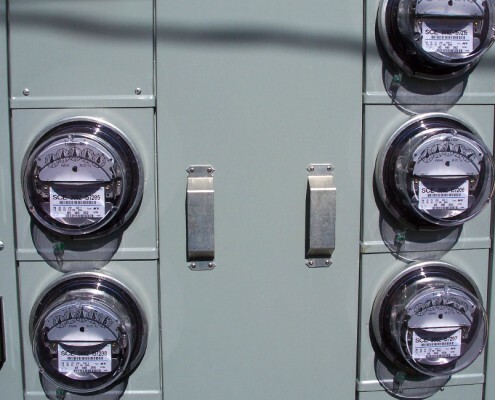 A permanently installed home backup generator protects your home automatically. It runs on natural gas or liquid propane (LP) fuel, and sits outside just like a central air conditioning unit. A home backup generator delivers power directly to your home’s electrical system, backing up your entire home or just the most essential items. 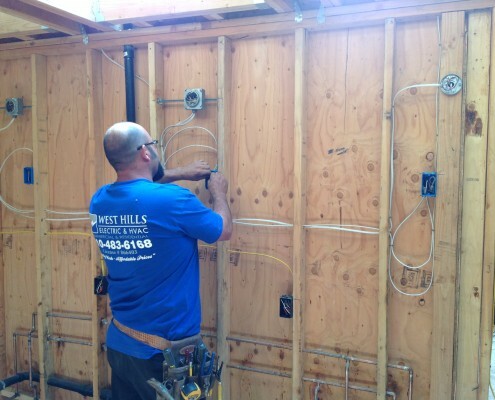 From a new house built from the ground up or a existing house with unsafe, outdated wiring, We will put together a proposal to wire your home. New dedicated circuits, hard wired smoke detectors, GFCI receptacles, arch fault protection, new recessed lighting, exhaust fans and more. Everything you’ll need to have a updated wiring system that meets National Electrical Code requirements. We Install and carry all switch and dimmer types. Dimmers for led, halogen and incandescent. Stack switches and occupancy sensors. With many years of expertise, West Hills Electric & HVAC can quickly identify a problem and provide clear cut options to fix the situation. You can always expect a thorough assessment and an upfront estimate with excellent options and pricing. Since 1997 our work and the satisfaction we've given our customers speaks for itself.